Right now I'm seizing the season by laying my hands on as much citrus as I can. 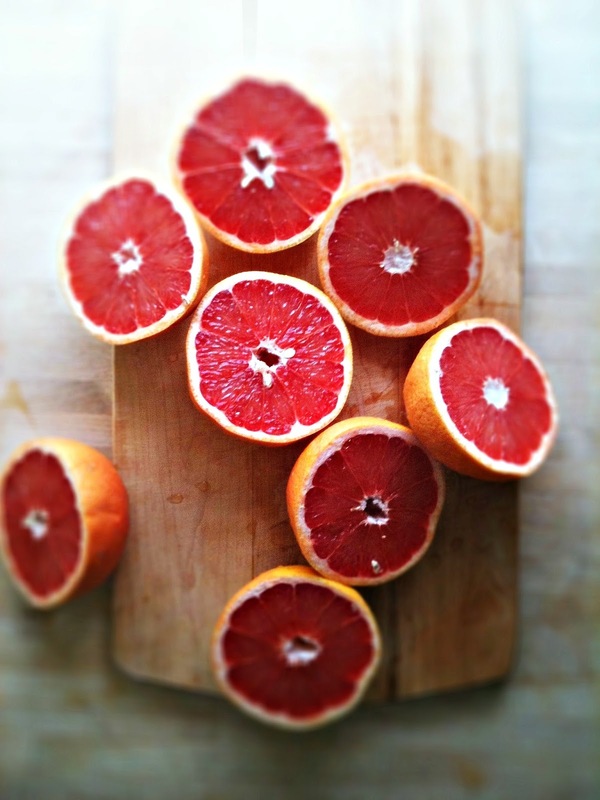 Yes, there were blood oranges and Meyer lemons and today's treat is brought to you by the bodacious ruby red grapefruit. At their peak, they are cheap and plentiful - my kind of fruit! 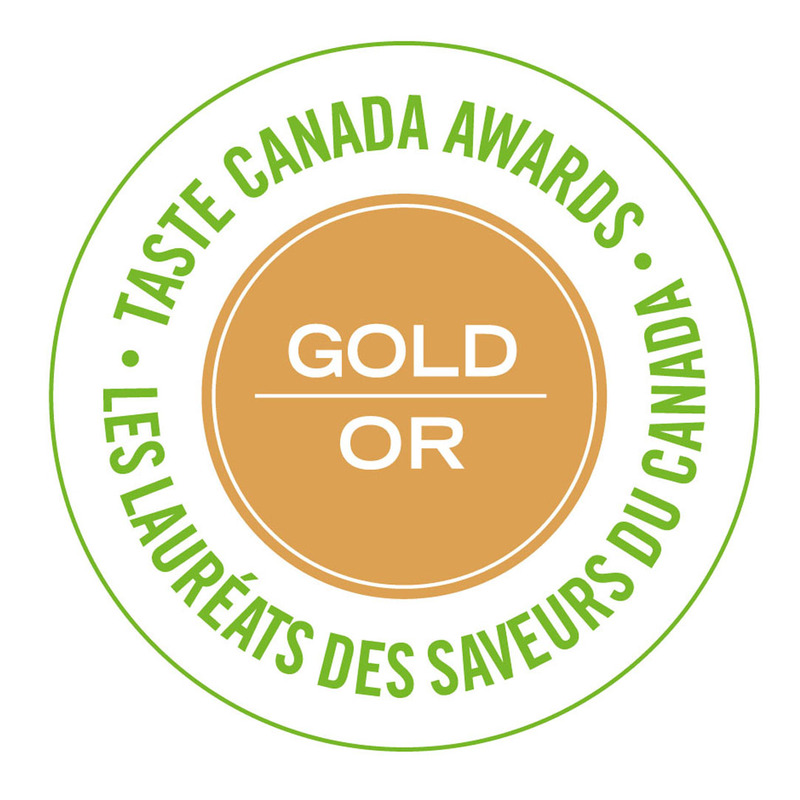 And their taste is sweet and bright - I eat one almost daily for a mid afternoon energy boost. Just looking at that ruby red flesh makes me happy - it's a colour to shake away any late winter blues. I'm on the hunt for a lip gloss or a sweater in the shade of this ruby red - a little retail therapy has been known to kill the late winter blues too. Curd. It's such an unfortunate word for something so glorious. Its beauty deserves a better moniker, I just don't know what it would be. I do know I've loved it with cranberries and lemons and today I can confirm I love it made with grapefruits. So much so I made a double batch. It would have been perfectly acceptable to keep the grapefruit curd in a jar and use for topping scones and waffles, and to have on hand for emergency late night fridge raids. Tell me I'm not the only one who eats curd out of the jar, spoons a-heaping, whilst pajama clad. It's good stuff, this curd. So good I decided to put it in pie. With a graham cracker bottom and a sweet whipped cream lid. 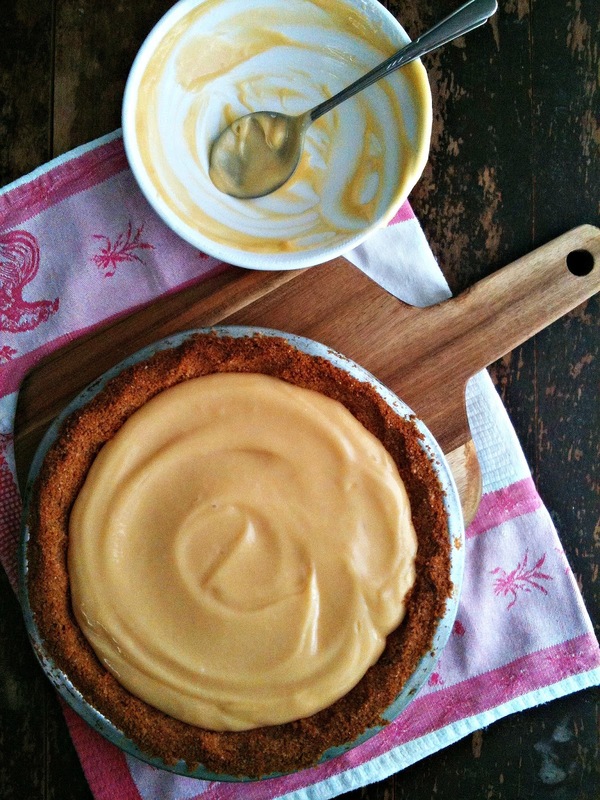 I can also confirm that grapefruit curd is pretty fine in pie. Once your curd is made, let it cool to room temp then let it chill completely in the fridge. 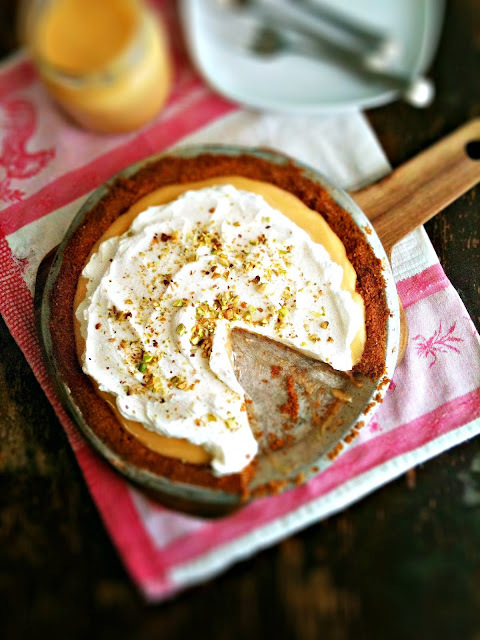 Use this time to prepare your graham cracker crust. Both of these steps can be done a day ahead - just keep the crust wrapped at room temp until you are ready to fill it. 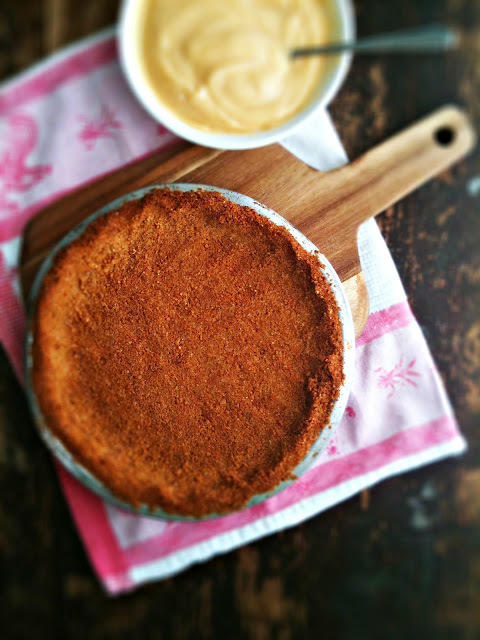 I poured my cooled curd into the finished crust, topped it with a flourish of freshly whipped cream then put it back in the fridge to hang out for an hour or so before serving. Maybe because the curd had been sitting for a few days and lost it's body, or maybe it wasn't thick enough in the first place, let's just say the first piece I cut was a little wobbly. Delicious, mind you, but it came out in a couple of pieces. Fair warning if you are having the Dowager over for tea - she may not approve but your family probably won't give a hoot. The next night the pieces came out better, so chilling in the fridge may help matters, so by all means make it a day ahead if you are serving to company or are fussy about these matters. It's also worth noting that if dessert in jars is your thing, this dessert would work exceptionally well. I'm kinda kicking myself I didn't do that in the first place. Think of cute little mason jars, with layers of graham cracker crumbs (or granola! ), grapefruit curd and whipped cream. And there is no worry of wobbly bits. Whatever you decide to do, I highly recommend seizing yourself some grapefruits and making some curd, if not for pie, then for the sheer satisfaction of standing in your kitchen at midnight with a spoon in one hand and a jar of curd in the other, contemplating the fate of Lady Mary and her brand-new babe. To make crust: Combine ingredients in medium bowl. Press into 9 inch pie plate. Bake in preheated 350*F oven for 12 minutes. Let cool completely. Can be made one day ahead, wrapped well and kept at room temp. To assemble pie: Beat whipping cream in mixer with sugar and vanilla until heavy peaks form. 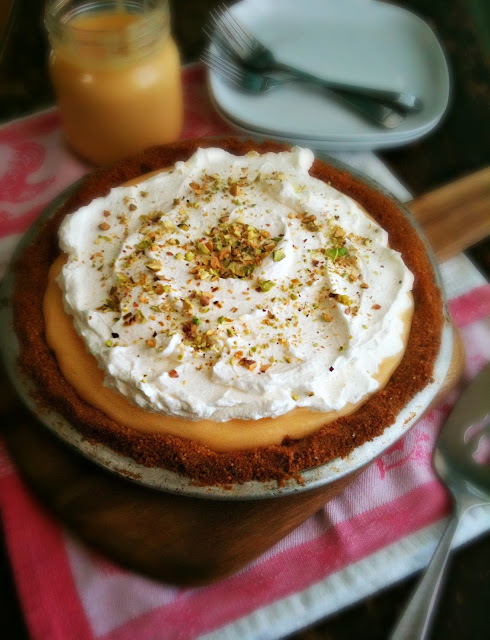 Spoon chilled grapefruit curd into cooled crust and top with whipped cream. (Reserve remainder of curd for waffles or scones, or freeze in a jar to keep for later.) Garnish with chopped pistachios. Chill pie in fridge for one hour or up to one day before serving. Serves 6. Recipe for grapefruit curd from 101 Cookbooks. Citrus curd of any sort is the best, and your pie looks so delicious. Thanks for sharing! What a pie! Looks gorgeous. And poor, poor Mary. Looking forward to season 4! Curd does sound like such a horrible name for something so delicious and revitalizing. Thanks for sharing Renee. I could not handle what happened on Downton last week. When I saw Matthew's dead blue eyes staring blankly I immediately turned off the telly and haven't even seen the end of the episode. I'm just not ready for that yet. 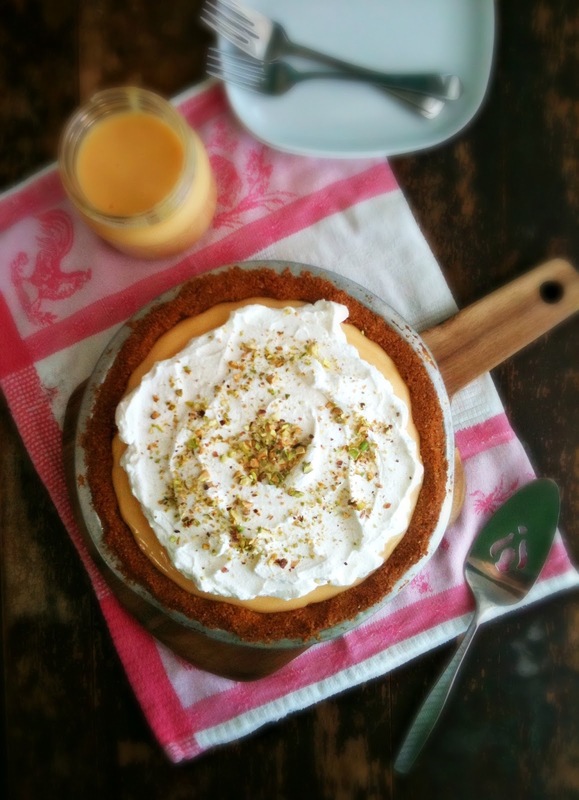 :( In regards to your lovely recipe - I do love citrus curd and the pie looks fantastic! Anyway, I'm saving this recipe for the next time I have guests coming over, mostly because I know that I'll eat the whole thing on my own if left to my own devices. :) I'm a total sucker for anything made with grapefruit! 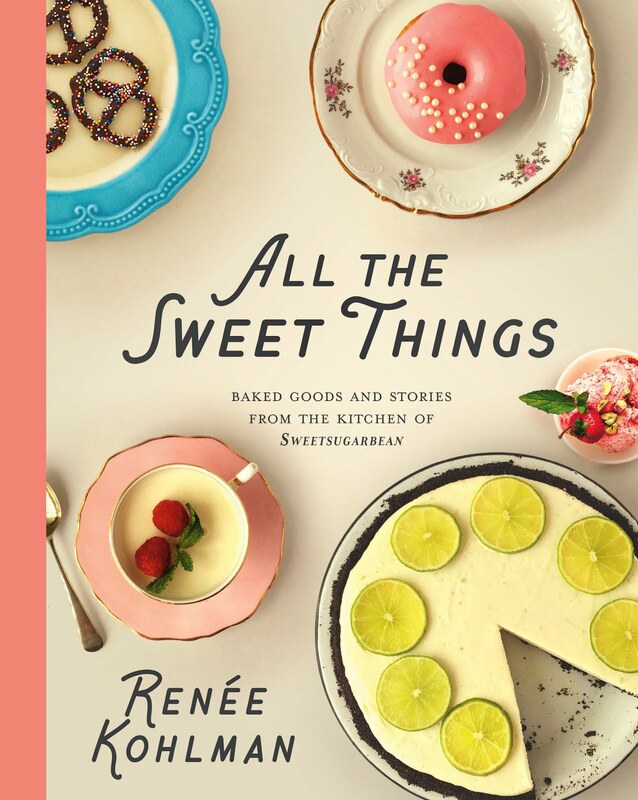 I really like the idea of grapefruit custard and it makes for such a lovely pie, perfect for grapefruit season! Marie and Kate - thank you so much! Jess, I know. Quiet the shocker. As my mom says - no more death on the show! Though I suppose she'll be wrong. Gourmantine - I highly recommend grapefruit curd - so refreshing and delicious. Do it! I've recently discovered how delicious cream pies are, and how easy too. I have to try your recipe -- it sounds scrumptious! Thanks for sharing it and your pretty photos. Terrible, terrible season ender with the gory killing of Matthew. I wonder why he wanted off the show? And right you are in that you are not the only person that eats curd out of the jar. I've never tried a Ruby Red grapefruit curd- I'll bet it's terrific!